Have a drink on us! 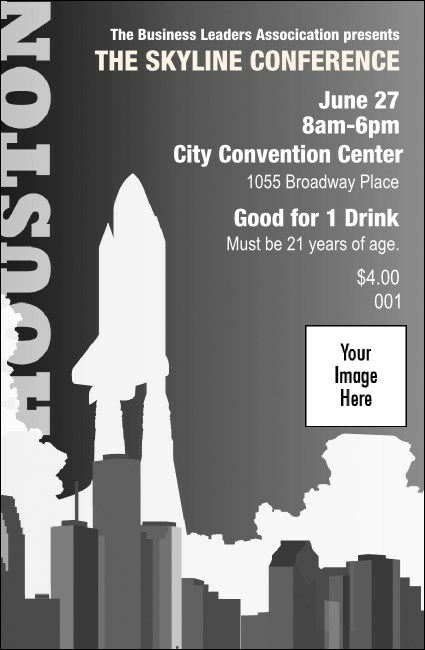 If you're headed to Texas, take along the Houston Event Kit, including this Houston Drink Ticket. In economical black and white full-bleed printing, this ticket features a Houston cityscape hidden in the silhouettes and active athletes enjoying the city's active environment. Get the job done right with Event Kits from TicketPrinting.com.